Lenoch offer a full range of engineering services and solutions. 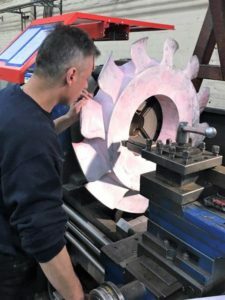 We can guide our customers through the design phase, offering CAD design and project concept drawings, through to delivery and fitting of the final project. 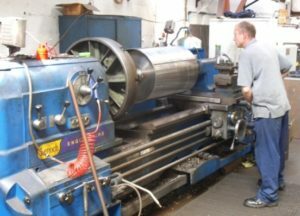 We have a wide range of quality machines and qualified machinists and engineers within our Rugby workshop. We have the ability to reverse manufacture any product that our customer requires – this can be from a sample or a plan of the product. From this we can create the initial design drawing. Once approved by the customer we are then able to use the drawing for manufacturing on our suite of advanced CNC machines. The manufactured components are then fully inspected by our dedicated inspection facility, ensuring full compliance and conformances before the goods are delivered to the customer with all supporting QC documentation. The decline of British manufacturing has left many of our customers unable to source obsolete critical parts. A main contributing factor to the success of Lenoch Engineering is our ability to manufacture products from samples. Using these samples, we can ascertain the base material composition for re-manufacture and then produce drawings of the sample using conventional methods and / or CMM (Coordinate Measuring Machine). 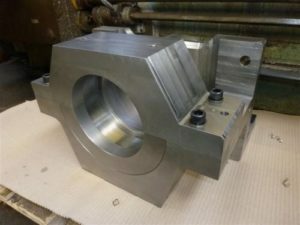 Once approved by the customer we are then able to use the drawing for manufacture on our suite of advanced CNC machines. The manufactured components are then fully inspected through our dedicated inspection facility ensuring full compliance and conformance before the goods are delivered to the customer with all of the supporting QC documentation.